You should never take a wait-and-see approach with a dental emergency. In most cases, time is of the essence if you want to save your tooth. If you are injured or suddenly develop an excruciating toothache, contact us immediately for emergency dental care in Simi Valley. If your emergency occurs during our normal business hours, we’ll work you into our schedule. For night and weekend emergencies, we have a reliable pager system and will get back to you as soon as possible to make arrangements for your care. Our Simi Valley dentists know how scary a dental emergency can be, and we’ll work fast to get you out of pain. Severe toothache: One of the most common causes of a sudden toothache is a deep cavity that has reached the nerve-filled center of the tooth. A crack or break in a tooth can also reach the pulp and expose it to infection. Placing a cold compress on the outside of your mouth can help reduce discomfort while you are waiting to see us. Object caught between teeth: If you cannot dislodge the object with floss, do not attempt to use any other tools to do the job because this can damage your gums. We can safely remove the item for you with precision dental instruments. Knocked-out or partially dislodged teeth: Knocked-out teeth can often be saved if you get to our office within an hour. Pick up the tooth by the crown and gently rinse it with warm water. You may try to reinsert the tooth into the socket yourself. If you cannot do this, place the tooth in a container of salt water, saliva or milk to keep it moist and bring it to our office so that we can reinsert it for you. If your tooth is loosened in an accident, do not touch it with your tongue or fingers. When you reach our office, we can splint it in place to allow the roots to stabilize. Bleeding: Cuts to the tongue, gums and other soft tissues of the mouth can bleed profusely. Rinse your mouth with salt water and apply pressure to the wound with a clean cloth or piece of gauze. If the bleeding doesn’t stop after about 10 minutes and you can’t get to our office quickly, you may want to proceed to the nearest emergency room. When you have a deep fracture or extensive decay that has infected the tooth pulp, the only way to relieve the pain and save your tooth is with root canal therapy. 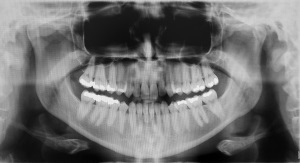 A root canal procedure may also be required after splinting a knocked-out or loosened tooth. By removing the nerves and infected tissues inside the tooth and replacing them with a special filling material, we can alleviate your pain, preserve your natural tooth structures and help you avoid an extraction. With over two decades of combined experience, our Simi Valley dentists know exactly how to handle dental emergencies in a calm and efficient manner. Using our cutting-edge digital imaging equipment, we’ll obtain a diagnosis quickly and get to work eliminating your pain and preserving your oral health with lasting and beneficial treatments. If You're Experiencing a Dental Emergency Contact Us! Relief is a Phone Call Away.